How Columbia mosquitoes populate | Fight the bite! The presence of one female mosquito can spawn a brood of over one billion mosquitoes in your backyard! In order for a female mosquito to develop viable eggs to facilitate reproduction she must obtain a sufficient blood meal from a human or other mammal. This single female mosquito will then proceed to lay up to 300 eggs. 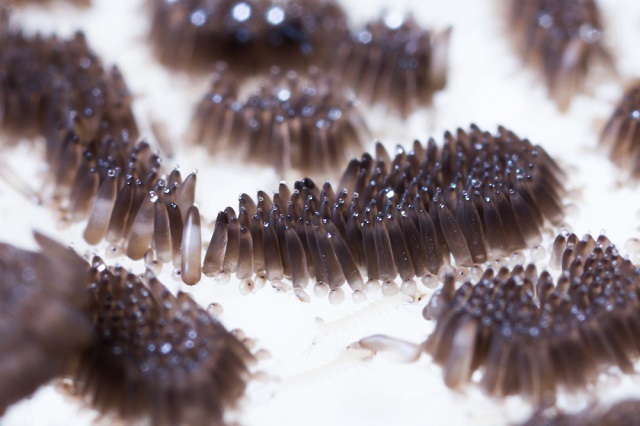 Mosquitoes can lay up to three batches of eggs during their short lifetime. From here the mosquito has already perpetuated a significant amount of blood-thirsty offspring in which about half, will be other blood thirsty mosquitoes. Our equation now includes 150 new female mosquitoes, plus the original matriarch of the brood which brings the total to 151 female mosquitoes. This is where it really gets interesting; the 150 daughters of the original female mosquito will also lay up to 300 eggs each. 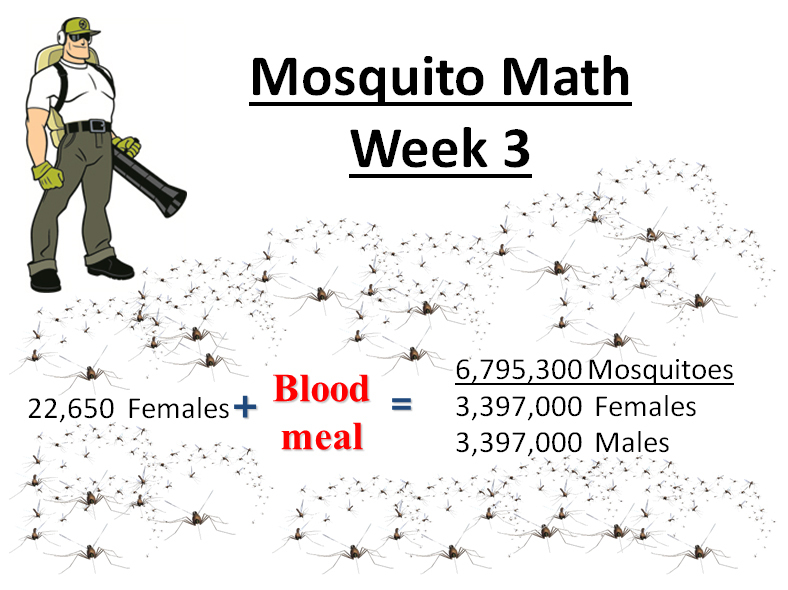 This brings the total number of mosquitoes up to 45,300, of which half are female. This now means 22,650 female mosquitoes will once again lay up to 300 eggs each bringing the number during their egg laying period to 6,795,300. 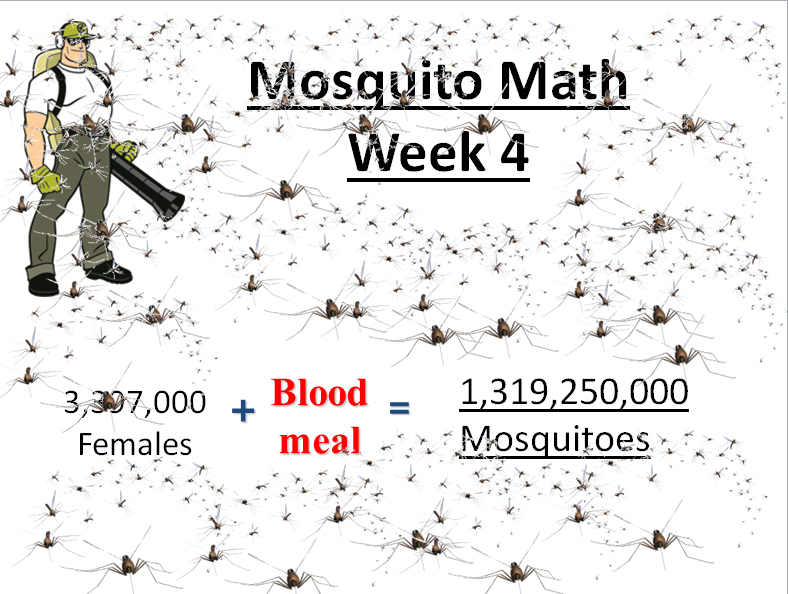 That is almost 7 million mosquitoes brought into your backyard via one female mosquito in just 3 weeks! The same strategy of half being born female will leave us with 3,397,000 females ready to do it all over again. The sum of all homeowner’s fear will weigh in at a whopping 1,319,250,000 mosquitoes from just one female mosquito! That’s 1 point 3 BILLION! This fact is scarier than fiction! Just one female mosquito can lay up to 300 eggs at a time, and can do lay up to 3 batches during her lifetime. Fortunately, there is a way to stop this vicious cycle in your Columbia area backyard. Mosquito Squad of Columbia’s barrier spray program will eliminate mosquitoes that are present on your property and prevent more from taking up residence. By reducing the number of mosquitoes on your treated property, you can literally eliminate billions of mosquitoes. Not only will eliminating these mosquitoes offer you the freedom and peace of mind to enjoy the outdoors this season, it will also reduce the number of mosquitoes within your yard that carry disease. By doing the mosquito math your will see preventing mosquitoes in your yard this season is as easy as 1,2,3. Now is the time to schedule your season long mosquito control. Warm weather is here and the recent abundance of rain mean that in a few short weeks mosquito populations will explode in our region. 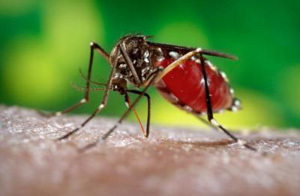 We use our effective mosquito barrier control spray to eliminate mosquitoes within the treated area and prevent more from entering into the treated area (your property) for up to 21 days per application. Our easy, worry free scheduling ensures there are no gaps in service. We will set you up on a scheduled interval to spray your yard in order to gain complete control over mosquitoes and their ability to multiply. Our service is easy, safe and highly effective. The crew at Mosquito Squad of Columbia is here to protect you and your family from mosquitoes all season long.